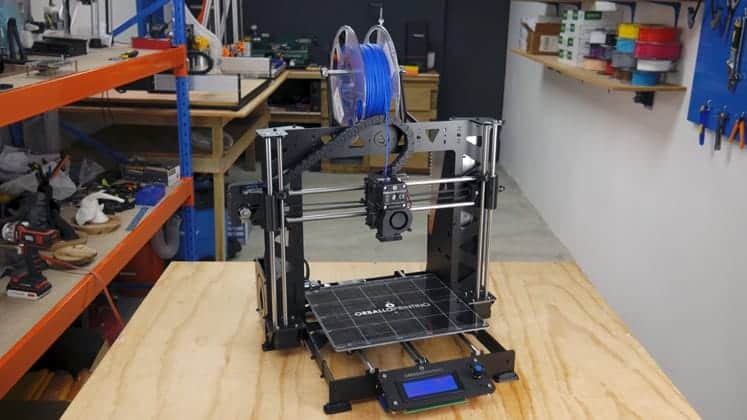 Prusa Steel 3D Printer Review 2019 - Is This 3D Printer Even Worth It? The Prusa Steel takes the widely respected foundations of the ever popular Prusa i3 series and makes one fundamental change, among others, which is using a robust steel frame instead of an aluminum frame. How much of an improvement does this make to print quality and is it better than its inspiration? The answer is somewhat marred by the fact that Prusa doesn’t sell a steel version of the i3 themselves and acquiring one, therefore, involves buying from a third-party vendor that has essentially copycatted the i3, albeit based on an open source RepRap-style PS3Steel design. 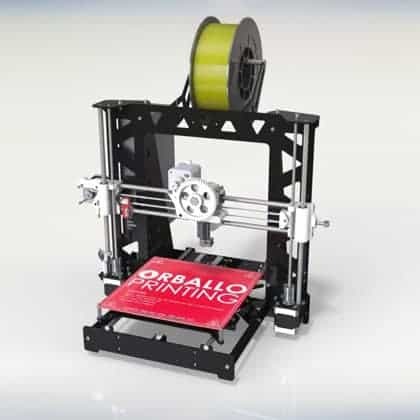 For our review, we got our hands on what is probably deemed the best version of the Prusa Steel, manufactured by Spanish company Orballo Printing. Other models are available from companies such as Inven. So with all that said, let’s get into it and see what the Prusa Steel is all about. Supported Filament ABS, PLA, wood, copper, aluminum, brass, bronze, nylon, PETG, HIPS, flexible filament, PC, and PVA. 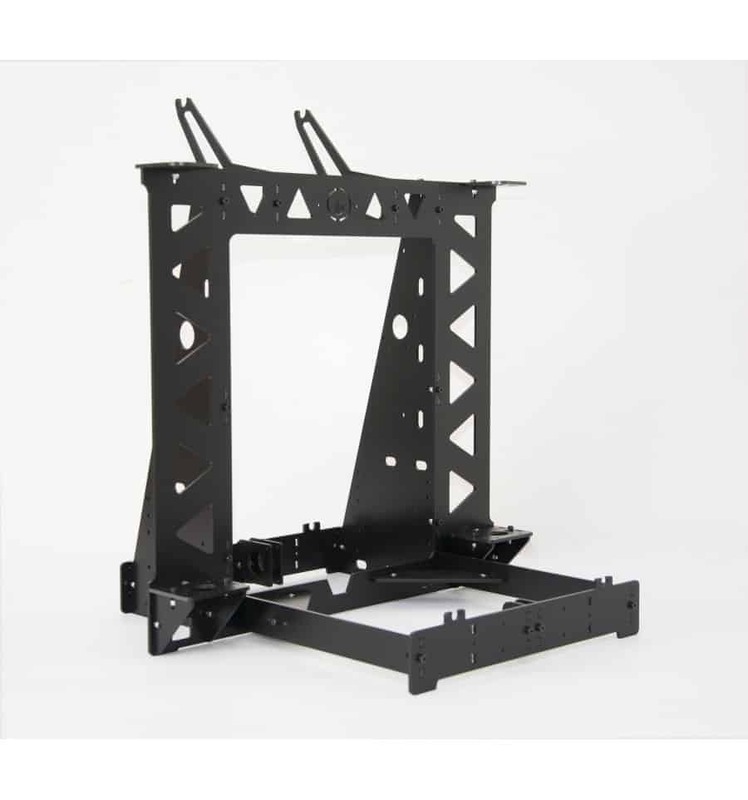 The frame of the Prusa Steel is made from precision laser cut S235 grade Steel sheets arranged in the familiar Cartesian XYZ FDM configuration. The steel itself is black powder coated, which serves the double purpose of providing a sleek look as well as ensure longevity by protecting the printer against corrosion and other environmental degradation. The frame has triangular shape perforation throughout the horizontal and vertical sheets which presumably are to minimize weight without affecting rigidity. 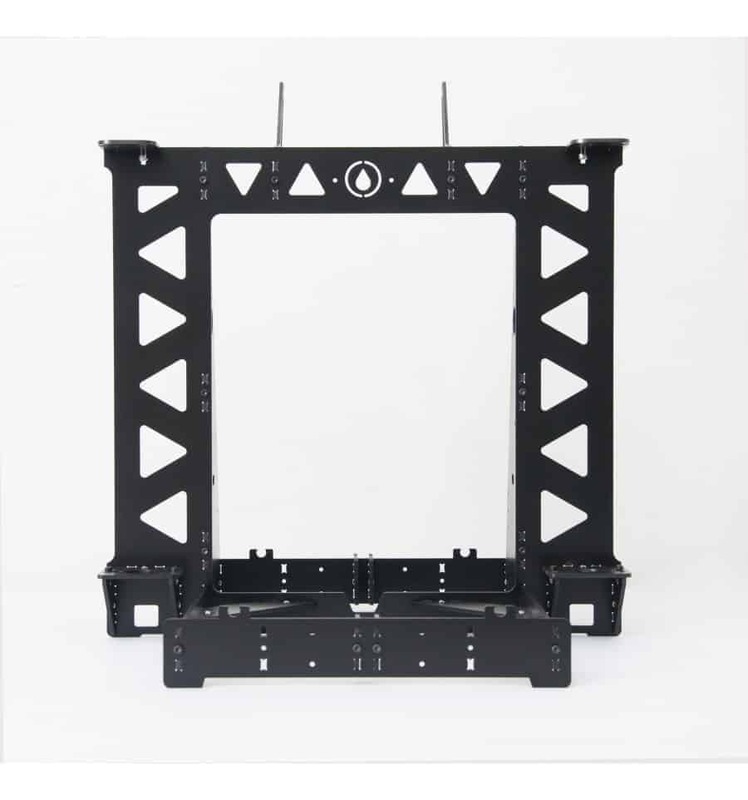 We’d be remiss not to say that the frame is pretty impressive and displays quality crafting, but then again it is the central feature of the printer so skimping on it would have been nonsensical. 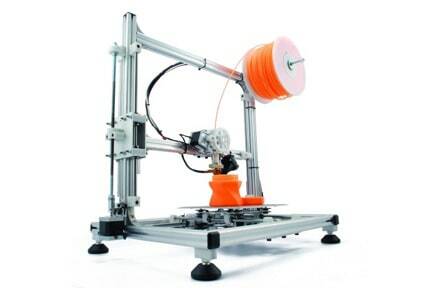 The Prusa Steel features an MK2 extruder with a 0.2 mm diameter nozzle E3D hot end running on Wantai Nema 17 motors with either A4988 or DVR8825 stepper motor drivers, lead screws and a GT2 belt/pulley system. Orballo offers the setup with either LM8UU or RJ4JP Igus bearings on all axes depending on preference. The bed is heated and is of the MK2b or MK3 variety with an affixed PEI anti-warping sheet. An Arduino Mega 2560 based board powers the electronics with open source Marlin firmware and drivers with either 1.4 Ramps or 1.4SB Ramps. Onboard controls come in the form of a 128×64 LCD. The configuration equates to a build volume of 200 mm x 200 mm x 180 mm with a layer resolution of 200 microns with a maximum inlay of 65%. In terms of filament support, the Prusa Steel is versatile and can print in ABS, PLA, wood, copper, aluminum, brass, bronze, nylon, PETG, HIPS, flexible filament, PC, and PVA. Filament diameter support is available in both 1.75 mm and 3 mm. 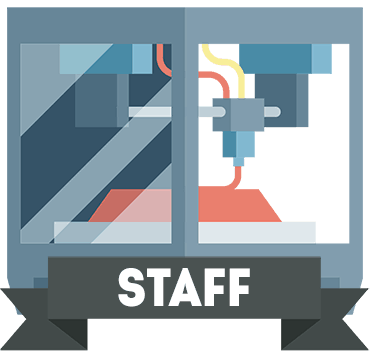 Filament support is also open-sourced. Connectivity is through either USB-to-PC or SD card for untethered printing. The software is open-sourced, and the Prusa Steel functions with established slicers such as Slic3r and Simplify3D for example. The Prusa Steel is a kit form printer and as such comes packaged in a puzzle-like array of boxes within boxes, baggies, and plastic wraps. 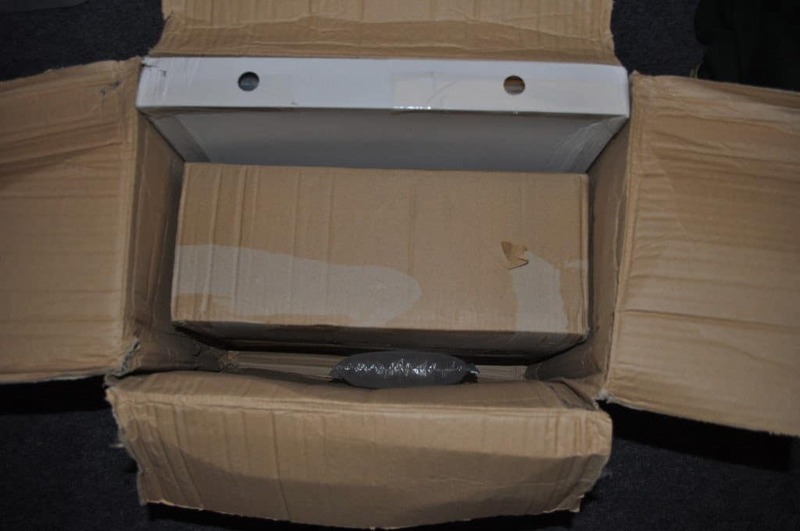 The packaging is a little too stripped down for our liking, and the main box appeared to have been compressed and mishandled during shipping. All the parts did arrive intact though. The package includes a PS3Steel frame, steel spool holder, rod kit, screws and nuts, X-axis tensioner, end stop holders, heated bed, bulldog clips, GT2 belts and pulleys, M8 bolt, five Nema 17 stepper motors, five drivers, five aluminum heatsinks, Z-axis shaft couplers, sixteen bearings, end stop wires, springs for the extruder and heated bed, cable ties, ramps, Mega 2560 board, LCD, USB wiring, power supply, hot end, and hot end fan kit. The assembly guide is uniquely in Spanish, which posed problems for us out of the box. We had to resort to forums and YouTube for help. The whole process proved laborious taking over 6 hours to complete. The frame itself is easy to assemble, but matters quickly turn south when it comes to the other components. Figuring out what goes where and with what nuts/screws is frustrating (positioning of the stepper motors and drivers especially, and the rods being too short requiring replacements from spare parts we had), which coupled with pieces that needed sanding or filing to fit made the experience a negative one in our eyes. Upon closer inspection of the parts, notably the extruder, they appeared to be knock-off versions sourced presumably on the cheap to cut costs. Firing up the Prusa Steel for the first time, we encountered all manner of problems from the hot end clogging to the tubing melting away and the fan burning out. 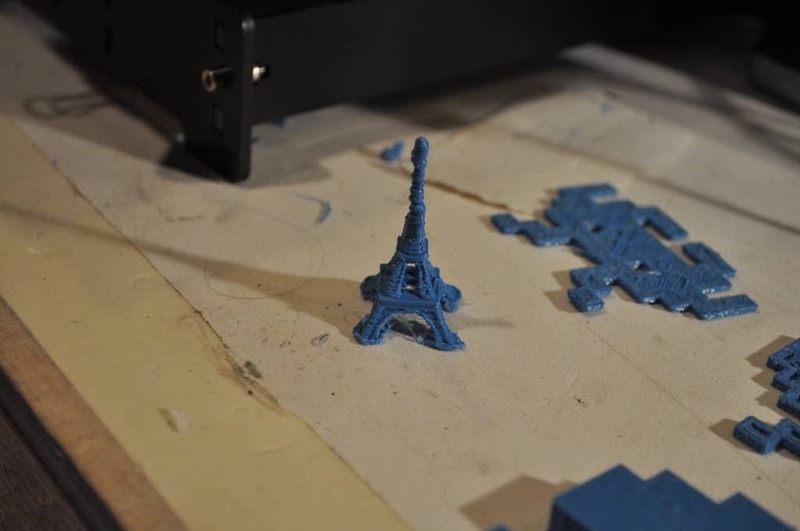 After replacing specific parts, we had to tinker endlessly with extruder temperatures, software settings, and adjusting the ostensibly auto-leveling feature to get the printer to either not clog or print a mess of filament. 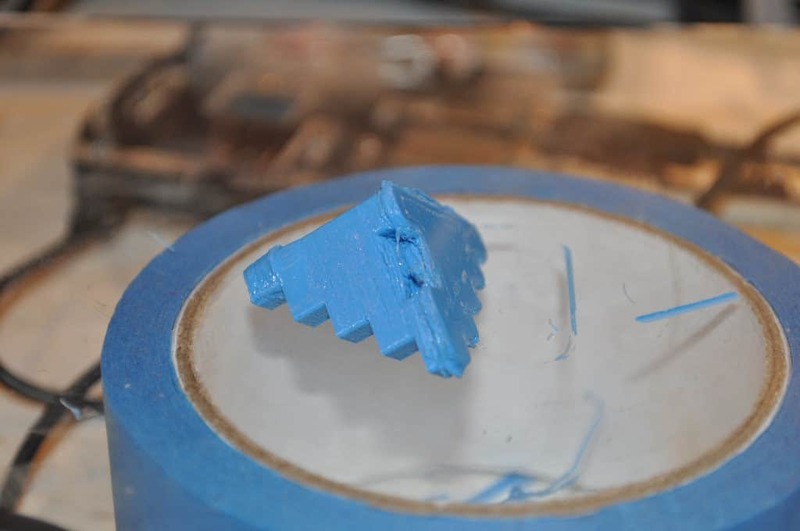 When we finally had the printer running correctly, the first few prints encountered first layer issues that were fixed by a healthy dose of hairspray and a further recalibration. Our first completed print was underwhelming, blotchy, lacking detail, and with unsightly layering. Things didn’t improve much moving forward throughout over a dozen prints. Our best results were with ABS but as above generally disappointing. 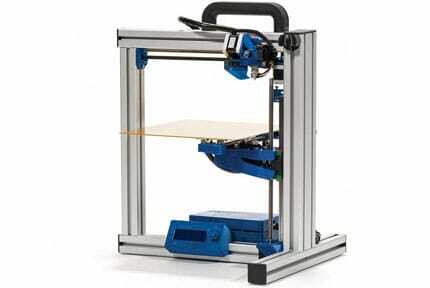 The Prusa Steel is, however, reasonably quiet in comparison to similar kit models. The lack of suitable instructions is the first hurdle compounded by an underwhelming online knowledge base on Orbello’s website. Support is available through phone, email or live chat with lengthy response times. Orbello offers a standard one-year warranty. The addition of a steel frame is all well and good, but the difficulty we had in assembling and fine-tuning the Prusa Steel to create decent prints doesn’t outweigh the peace of mind and reliable performance one gets from buying the tried and trusted aluminum model directly from Prusa. 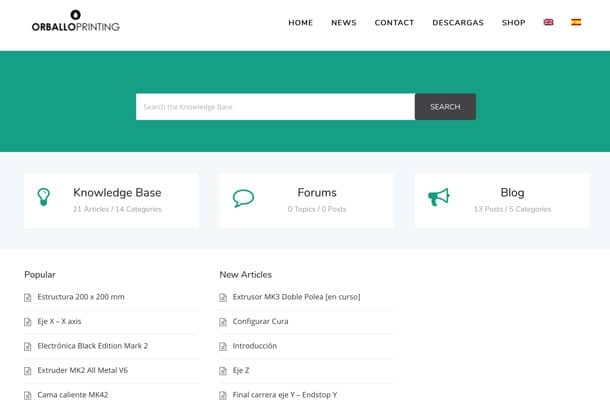 This position is further solidified by Prusa having released the updated i3 MK3S model recently with updated electronics, a steel build plate, Wi-Fi connectivity, an automatic filament loading mechanism and much more. The Prusa Steel bought from Orbello is markedly cheaper in comparison to MK3S, by about $300-$400 depending on where the purchase is made, but you get what you pay for and a boatload of self-guided troubleshooting to boot. In our opinion, the Prusa Steel attempts to capitalize on the hard work of Prusa with a few little tweaks and subtractions but fails to do so convincingly. 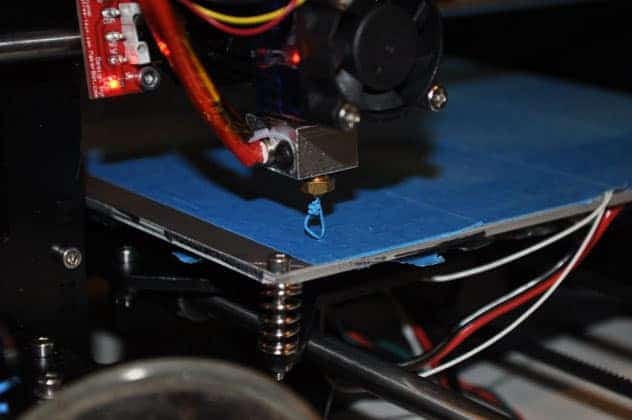 With this in mind, we recommend staying clear of the Prusa Steel for the simple fact that the work involved in getting it to work as intended isn’t worth the sub-par quality of the prints it invariably produces. The Prusa Steel is marred by too many issues from assembly problems to inferior print quality to make it a viable purchase. A versed tinkerer wanting a model with a steep learning curve and ready to make significant upgrades may find some joy in the Prusa Steel.